OK - I have the 800XC and have the lower seat fitted. Fact is, after riding for a while I find myself getting cramp in the shoulder muscles and that my arms are at (almost) full lock! So I need to bring the bars up and back to me! Simple - no? Well - although it isn't a reason to NOT have a raiser, fact is - I have the Touratech GPS handlebar mount that fits perfectly to the 10 and 8 mm bolts of the OEM handlebar mounts! So I decided to try and find a different handlebar that had more raise and pullback! Not all that many are out there when you start looking - especially with the oversized 28.5 mm bars that we have!!! 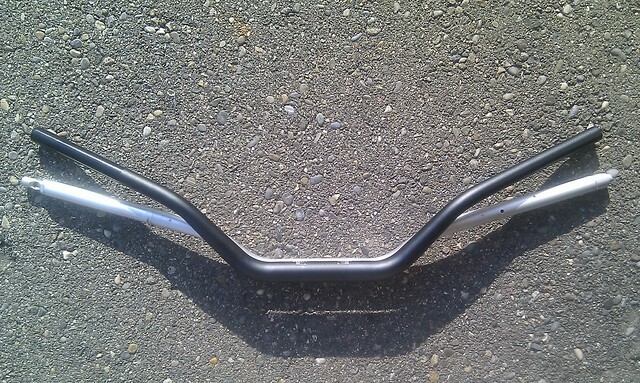 In the end I found that the 'Tourer' bars from LSL were the best for me! 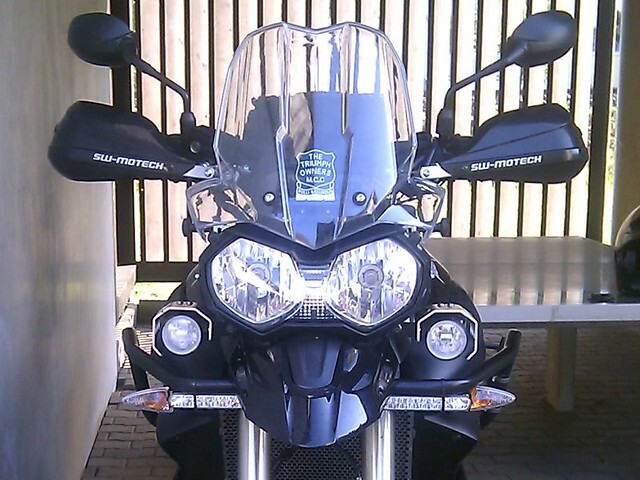 The only difficulty I had was the fact that I have the Barkbuster guards fitted AND the OEM heated grips! :? If you don't know - the OEM heated grips run their cabling within the handlebars!!! 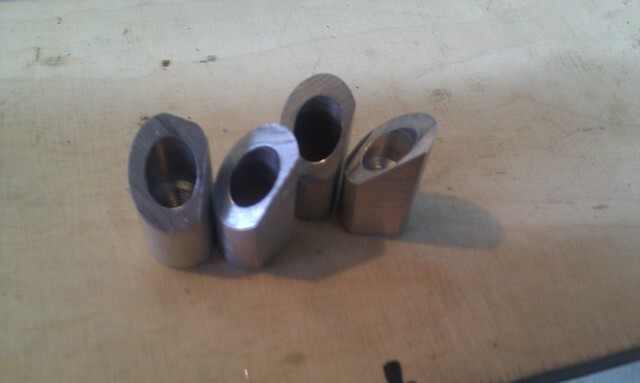 The bar end locking adapters - had to be filed down to allow the cable to run past them! The throttle end had to be modified to allow the movement of the cable when throttling! - More expensive than a 'ROX Raiser' or 'Vario barback'. 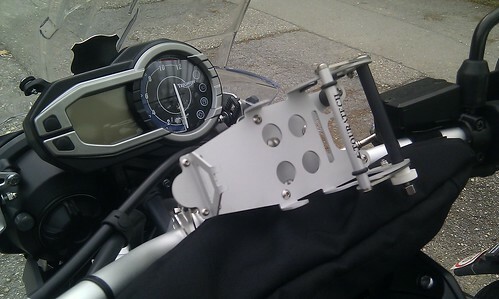 - Modification requirements for adapting heated grips. - More time requirements for fitting. - Uses same OEM fittings therefore can keep my Touratech GPS mount. - Looks like it was delivered this way - no 'bolt ons'. - Now riding with bend elbows and NO shoulder cramp. So there you go! I now have the LSL Fat-Bar 'Tourer' XB3 fitted! 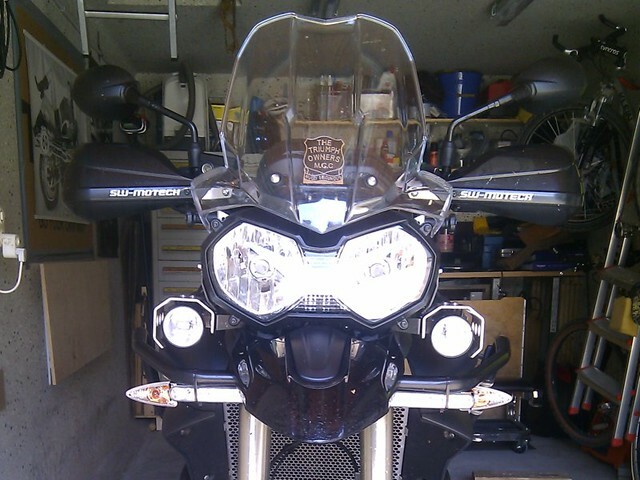 Just been to the Pyrenees with a friend with a KTM990ADV and his bars had more pull back. Not too sure about the rise but should be more comfortable than the OE XC bars. 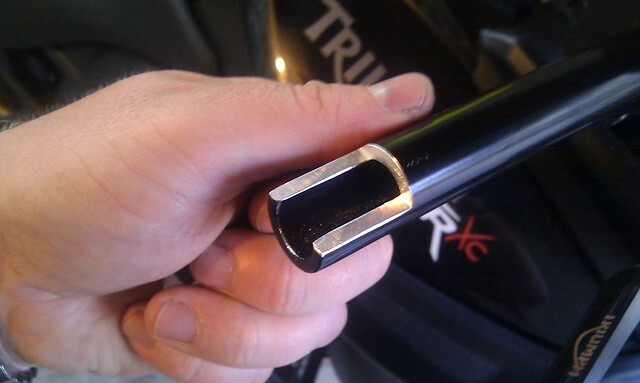 They were stamped with "Renthal KTM bend". 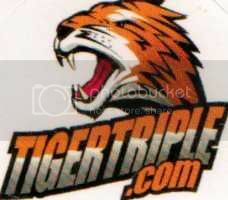 Checked the price from KTM, just under £144..... Ouch!!! or just under £115 for the NEKEN later ones.